The questions that must be answered over the next 2-3 months following Britain’s referendum on EU membership will be crucial to the future and the strategies of both the UK and the EU, write SEB economists Robert Bergqvist and Richard Falkenhäll. Obviously British political leaders and European Union capitals were completely unprepared − or unwilling to take responsibility for − a possible vote by the people of the United Kingdom to end their EU membership. Today, one week after the referendum outcome was announced, political questions are far more numerous than answers. A logical solution would be a snap election, which would indirectly be a new referendum. Political developments in the UK this past week imply a declining probability of “Brexit” (British exit from the EU). The questions that must be answered over the next 2-3 months will be crucial to the future and the strategies of both the UK and the EU, but they are also extremely complex. 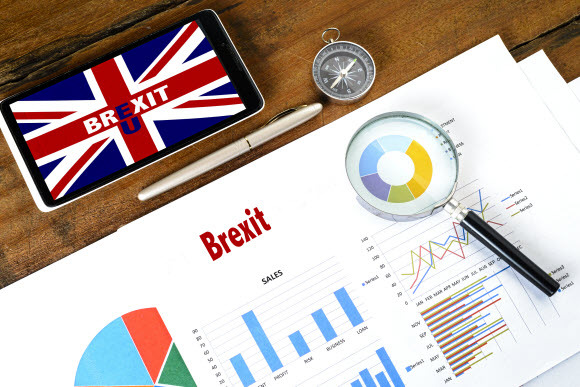 This past week, since the UK shocked the world by voting 51.9 to 48.1 per cent to leave the EU, has been turbulent in financial markets and on the political scene. If only 634,751 of the 17,410,742 Britons who voted Leave had switched sides, Brexit would have been defeated. Instead political chaos prevails both the UK and the EU, in the obvious absence of action plans. The dramatic movements in financial markets were understandable, yet exaggerated. Our conclusion was, and still remains, that the Brexit issue is 80 per cent political and 20 per cent economic. But as the referendum votes were counted overnight on June 23-24, the probability of a Remain outcome went from 85 per cent to zero within a few hours. This explains the subsequent sharp declines in stock markets, the British pound and bond yields. Today our conclusion is that various political actions have again boosted the probability of Remain, and the question that is gaining new traction is: Will Brexit actually occur? The UK and no one else will decide the timetable for when and if exit negotiations with the EU will start. The earliest date for this is the beginning of September. This implies that withdrawal from the EU will not occur until January 1, 2019 at the earliest. Until then, the UK will still be a full EU member. If the UK wants access to the EU single market, it must accept all of the Union’s four freedoms: freedom of movement for goods, services, capital and people. Other EU countries are currently not prepared to renegotiate the agreement they reached with the UK early in 2016. Will UK political implosions trigger an election? Few observers had expected that the Brexit vote would have such a huge domestic political impact, leaving behind a divided people, a divided country and divided parties. Xenophobic tendencies in the UK also seem to have enjoyed an undesired surge. Labour Party leader Jeremy Corbyn is probably on his way out, after a secret ballot showed that his party’s Members of Parliament no longer have confidence in him. However, it was no surprise when Tory leader and Prime Minister David Cameron declared his intention to resign. Yet these developments leave the UK with a serious, leaderless vacuum and an uncertain political leadership succession. One logical solution to the political situation triggered by the referendum would be to hold a snap election. This would indirectly be a second referendum on EU membership, since party representatives would be forced to declare their views on the EU. For a newly elected Tory prime minister this would provide room for a fresh start − with five new years in office − while a sinking Labour Party would hardly pose a threat. The main risk is that the anti-EU United Kingdom Independence Party (UKIP) may pick up support from frustrated Tory voters, but UKIP’s strength may be limited by growing criticism about misleading referendum campaign tactics, the lack of realistic impact assessments in case of a Leave scenario and the latest political and financial market turbulence. But the other EU countries will also need to show a greater willingness to compromise. At the latest EU summit, Cameron himself identified two possible “heirs”: Boris Johnson (the Leave campaign leader) and Theresa May (a Remain supporter). After Johnson announced that he will not compete for the Tory leadership, there has been a further increase in uncertainty about what strategy towards Europe the UK will follow. Generally speaking, there seems to be rather little interest in becoming the head of a government that in practice will be forced to activate the EU “exit clause”. It came as a surprise that the Presidents of the European Parliament and the European Commission received a Scottish delegation to discuss future relations. The EU does not want to talk about exit negotiations with the UK until the “exit clause” (Article 50 of the Treaty of Lisbon) has been activated. Although the probability of a new Scottish independence referendum has increased, early speculation that the Scottish Parliament might halt the Brexit process is seen by most observers as an impossible solution. Nor is it likely that the EU is prepared to hold exit negotiations with the UK at the same time as accession talks with Scotland. Furthermore, Spain in particular seems determined not to recognise a breakaway Scotland, since doing so would increase the risk that Catalonia and the Basque country will keep trying to secede from Spain. The EU political crisis is the most serious that the Union has had to deal with. Obviously there is also confusion about what strategic direction the EU should take. Last year’s “road map” for achieving full EU economic and monetary union by 2025 will now be shelved. In practice, this means that the euro project will remain without the final infrastructure needed to give the euro zone long-term stability. But in choosing between greater integration and “more EU”, on the one hand, and more self-determination on the other hand, today it is impossible for the EU not to become more responsive to public opinion. The extra EU summit in mid-September will be an attempt to find a common platform. The areas mentioned so far in which cooperation can be deepened include defence and security policy as well as labour market policy, with a special focus on jobs for young people. This platform must be established at the same time as the Union is also struggling with other challenges: the refugee crisis, weak economic growth, weak capital spending and ageing populations. EU political leaders will be forced to express themselves clearly about such issues as internal mobility and immigration, on which they do not always enjoy broad public support either. The new political landscape in the UK and the EU is surrounded by a number of major questions. Time for reflection is desirable, but too much time will create larger negative growth effects. Based on calculations by the International Monetary Fund, annual global growth is being pushed down by about 0.2-0.3 percentage points due to the uncertainty caused by possible Brexit. While manageable, this negative effect comes at a time when the world economy already has a weakened immune system. Financial markets have reacted strongly to the increased risk to British and global growth. Forecasts are being lowered – in some cases substantially. This is also affecting central banks. Their task is not to use monetary policy to reduce political risk. They are mainly concerned with ensuring liquidity in the banking system. There is very limited room for further monetary easing, especially with regard to interest rates. Additional stimulus measures would thus be a matter of continuing to expand central bank balance sheets. There is heightened political uncertainty, but this is something we will gradually become accustomed to. The European political agenda is dominated by events that have the potential to fuel new worries. Meanwhile we are approaching a presidential election in the United States, while China is grappling with its economic growth model and debt restructuring. All of this increases the need for policy coordination at the global level and within G20 framework. It remains to be seen to what extent the Brexit issue may persuade the world’s major economies to take steps in this direction. But there is potential – and a growing need – for more discussion of coordination, especially in monetary policy.